Awarded TOP 5 Scariest Haunted House in Illinois! Awarded TOP 10 Haunted House in Illinois! Awarded TOP 10 Voter's Choice in Illinois! Awarded TOP 4 Best Valued Haunted event in Illinois! The 2019 Boo Crew Haunted House will be open every Friday and Saturday in October, and the first Friday and Saturday in November. Scare level is HIGH...recommended for ages 10 and over. 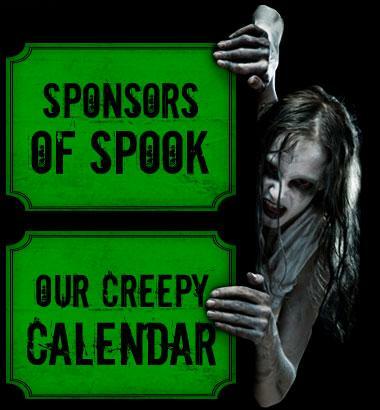 All tickets include Trail of Lost Souls and Haunted House attraction! We usually sell out by 8:30 PM on peak nights. Updates are often found on our Facebook page. Tickets are limited and we strongly recommend that you reserve your tickets in advance. Buy online to reserve your ticket time in advance... CLICK HERE TO BUY! Tickets are sold for 7-7:30 pm, 8-8:30 pm, 9-9:30 pm, 10-10:30 and 11-11:30* pm line up times. You may enter the line staging area up to one hour before your ticket time. You may enter the line staging area anytime within your 30 minute slot. If you are more than 30 minutes late for your ticket time, you will be placed in line if and/or when possible. VIP tickets are a very limited per hour. 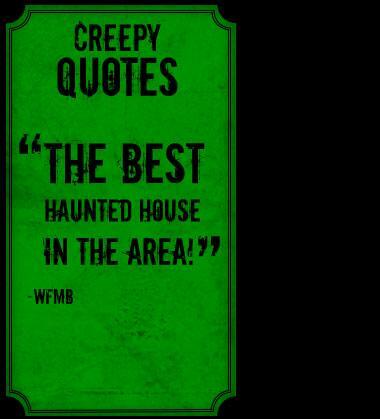 Admission includes VIP entrance onto the Trail of Lost Souls and then into the Haunted House! Check in with Boo Crew staff or at VIP window for admission. Buy online to reserve your VIP ticket in advance... CLICK HERE TO BUY! The lights are out and you are on your own! Special one night only event, November 1st. 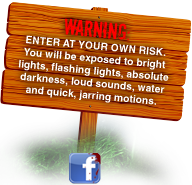 Try to make it through the haunt with only your glow stick to guide you! Tickets for this event are limited. Buy online to reserve your Blackout! ticket in advance... CLICK HERE TO BUY! Online ticket: If you purchase your tickets online, bring the printed ticket with you and go directly to the line up area. There is no requirement this year to check into the box office. Box office opens 6:30 pm. Haunted House/Trail opens around 7 pm. Please come early or buy on line since we often sell out of tickets for the night. Wait times may be affected by unforeseen events. No more than 6 guests in a group admitted into the haunted house. Small groups will be combined on peak nights. Appropriate shoe gear is required! We do not allow visitors to wear masks, costumes or bring props into the haunted house. Some covered waiting is available. We are open if it is raining. $7 per person/child. Open Saturday October 19th from 3:00 to 6:00 pm. Includes a free Indian Knoll Pumpkin Patch pumpkin while supplies last! Walk through trail and haunted house. Concessions available: hot mini donuts, BBQ sandwich, BBQ nachos, hot dogs, popcorn, nachos, candy, hot chocolate, soda and bottled water. Souvenir trailer: T-shirts, hoodies, hats, soda, bottled water and more!